Nokia's hottest new smartphone: the E6 is now available for pre-order on Nokia India's website. 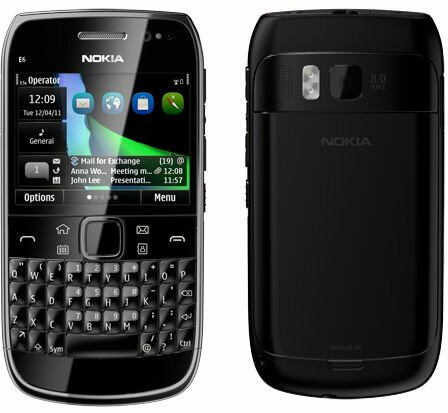 The Nokia E6 will be the first smartphone to come out with the latest iteration of Symbian i.e. Symbian Anna. Being the first device to come out with Symbian Anna, expectations are high. The Nokia E6 will cost Rs 17,999 according to the website. Speaking of specifications, the smartphone will have a 2.46" display with pixel dimensions of 480x640 and will have an 8 MP camera capable of recording 720p video at 24fps. The phone has a physical QWERTY keypad with a capacitive touchscreen; though this is not one of those touch and type phones that the company has launched so far. The processor is clocked at 600 MHz like the previously launched QWERTY phone the E5, but the E6 comes with a 2D/3D graphics accelerator and a few other graphical enhancements. It also comes with 8 GB of built in storage.You can pre-order the Nokia E6 from the Nokia India website.